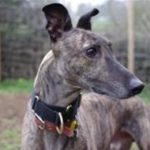 Categories: New!, Gifts, Christmas cards and gifts, Sponsorship & Charity Gift Donations, Forever Hounds Trust Gift Donations. While they wait for their forever home our teams make sure they go on lots of walkies! Up to 400 doggie bottoms equals a lot of poo bags! A ‘Scoop the poop’ gift donation will help us pay for these along with all our other kennelling costs. You will receive a gift card explaining how your gift donation will help the dogs in our care. ‘Scoop the poop’ gift donations will fund Forever Hounds Trust’s kennelling costs and support all dogs in the charity’s care.